Theological and Scientific Commentary on Darwin’s Origin of Species Ted Peters & Martinez (Abingdon; $20.00) I am not convinced that these guys get it fully right—who does?—but this would make a fabulous gift for the curious, creationist or Darwinist. (Well, the creationist won’t like it, but if they should know of it, and they may like the CD-ROM.) It includes the complete text of The Origin of Species on CD-ROM (which makes this a rather nifty little gift set.) John Haught, himself a theistic evolutionist and Darwin scholar highly recommends this, as do others of that view. That Darwin’s original work is linked to and compared with the most contemporary work in, as one reviewer puts it, “the lab and the pew”, makes this a nice paperback contribution to one’s science library. 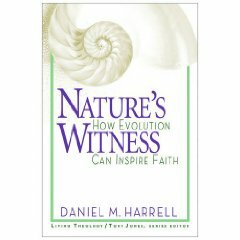 Nature’s Witness: How Evolution Can Inspire Faith Daniel M Harrell (Abingdon; $18.00) Again, I am less interested in the details than the fact that a book like this exists for enjoyment and discussion. This is the second in the emergent village’s “Living Theology” series (edited by Tony Jones.) Harrell is a pastor at Park Street Church in Boston and holds a Ph.D. in development psychology from Boston College. Rave reviews from evangelicals like Richard Peace, Andy Crouch and from mainline theological journalists like The Christian Century’s Jason Byasee indicates that this could be well-loved by many and is being discussed in various circles. 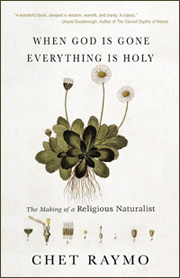 Anne Carpenter, Director of the Imaging Platform at Harvard & MIT writes, “Harrell invites us to journey along with him as he learns some of modern science’s recent revelations and then asks what these revelations reveal about the nature of God. At times a friendly stroll through genomes and quarks, at others a wrestling match to reconcile science and theology as two valid and valuable sources of knowledge, this book shows how one can be a firm believer in both.” Nicely written, interesting, a great choice. Only a Theory: Evolution and the Battle for America’s Soul Kenneth R. Miller (Viking; $25.95) I am surprised this isn’t being more discussed; it is by a major voice in science writing, is very clearly argued, seems very timely, and in quite lively fashion goes after the ID movement. You may know that I am intellectually partial to the ID scholars, but even those who tend to critique the Darwinists need to read the witty and smart pieces of Mr. Miller. I didn’t find it adequate, but it is very highly recommended by Edward Larson, Francis Collins, Michael Ruse and others…would be a great book to discuss or compare with a more traditional intelligent design scholar like Michael Behe or William Dembski. 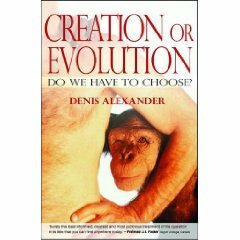 Creation or Evolution: Do We Have To Choose? Denis Alexander (Monarch; $18.99) We brought this in from England as it has been called a trenchant and masterful study, with a grand endorsement by Francis Collins. Although a theistic evolutionist and a working scientist, he is theologically traditional and Biblically-informed in good ways. J.I. Packer, an astute Reformed scholar, says “Surely the best informed, clearest and most judicious treatment of the question that you can find anywhere today.” One of the first books we stocked on this topic nearly thirty years ago was Alexander’s first one. We are tickled to share this one, now. The Spiritual Brain: A Neuroscientist’s Case for the Existence of the Soul Mario Beauregard & Denyse O’Leary (HarperOne; $14.95) O’Leary is a Toronto-based journalist, activist and writer who I have long respected, for her pro-life work and her thoughtful ID scholarship. This important book is based in part on research done on the brain activity in Carmelite nuns in the course of their deepest religious experiences, this is a thoughtful and interesting case for mystical experiences and the spiritual core of humans. Fascinating for those with an interest in the question about the mind/consciousness questions. The Book Nobody Read: Chasing Revolutions of Nicolaus Copernicus Owen Gingerich (Penguin; $15) This is not new, but is such a sweet and interesting paperback that we had to recommend it. The esteemed Dr. G teaches astronomy at Harvard and has given us a remarkable book that is part biography of a book, part science, part travelogue and intellectual detective story. Prodded by Arthur Koestler’s claim that when it was first published nobody read Copernicus eventually famous work, Gingerich embarked on a three decades-long quest to look at in person all six hundred extant copies of the first and second editions of De revolutionibus, including those owned and annotated by Galileo and Kepler. This has garnered rave reviews from Pulitzer Prize winners, all the top book review mags, and fun endorsements from the likes of science writer Dava Sobel. This should be under somebody’s tree, I’m sure. , deep conversation. That could be a great opportunity for further discussion, making this a gift that starts, or enhances, dialogue and friendship—and perhaps wonder and faith. Scientific Mythologies: How Science and Science Fiction Forge New Religious Beliefs James A. Herrick (IVP Academic; $23.00) I might suggest that this is the only book of its kind and that nearly everyone knows somebody who would benefit from a treatise like this. It is serious, thoughtful, perhaps a bit more than the typical Star Wars fan cares to explore, but for true sci-fi geeks, this may be a life-saver. And a lot of fun, if they like to think (which most sci-fi afficionadoes do, of course.) With endorsements from Ken Myers (Mars Hill Audio Journal) and James Sire, this covers all the greats, with a serious eye to the yearning for transcendence that animates many of the best science fiction authors. And, Herrick makes a strong critique of the alien worldviews (as Douglas Groothuis cleverly puts it) that have emerged through the genre of science fiction. DVD Expelled: No Intelligence Allowed Ben Stein (Vivendi Entertainment $26.95) I wrote about this when it first came out and although it will surely irritate many, it’s plea for academic freedom, open minds, and an honest discussion of the merits of Darwinism should be something we all can affirm. Skip back to my BookNotes post for my take on it’s significance, here. Documentaries are hip, cool gifts these days, anyway, and Expelled is very well made. Go for it. Be bad to the bone. Give it to somebody who needs annoyed, anyone in higher education, students, or anybody who ought to care more about civil liberties, freedom of speech or thought. And if you know someone in the sciences, wrap it up with a sly smile and offer to watch it with them, with you bringing the popcorn and beverages. Tell Santa wants them to see it.